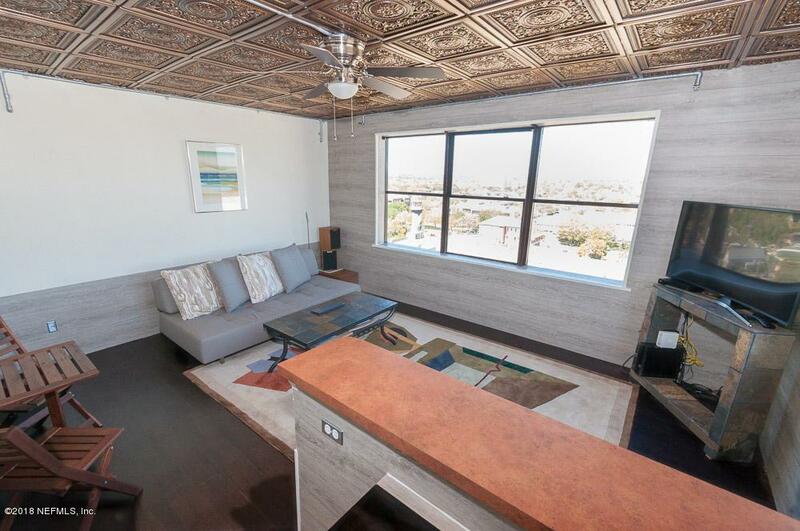 Completely renovated corner unit with spectacular city views to the north & east on 14th floor. 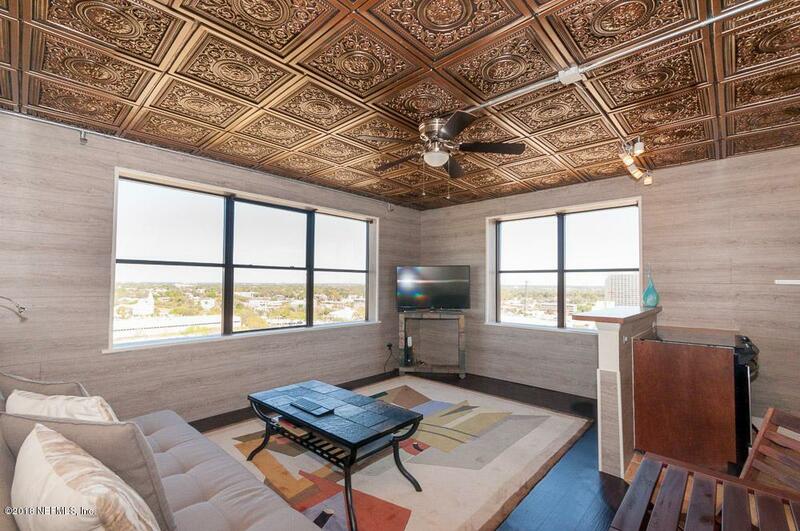 Nice sized bedroom w/tile accents throughout. 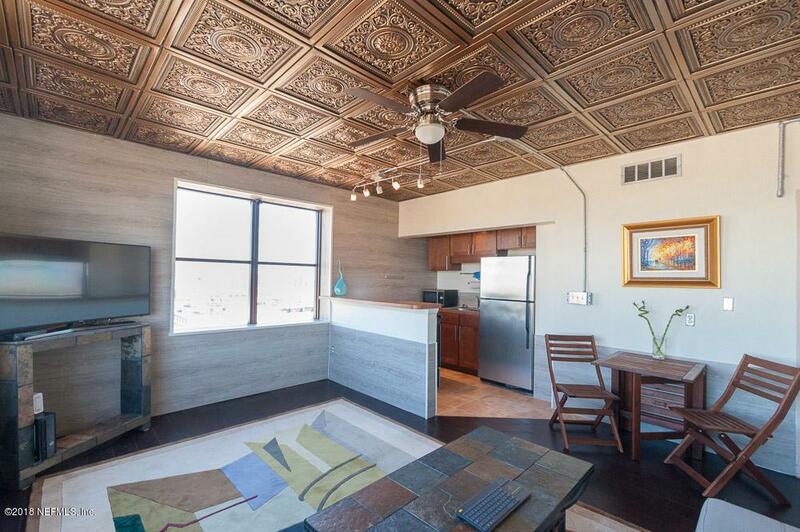 Main room has gorgeous tin-look ceiling, laminate hardwood flooring & full size range in kitchen. Full bath with pedestal sink, tile floor& tiled shower w/inlay. Historic building has laundry on site, fitness rm, rec room & management/security on site. 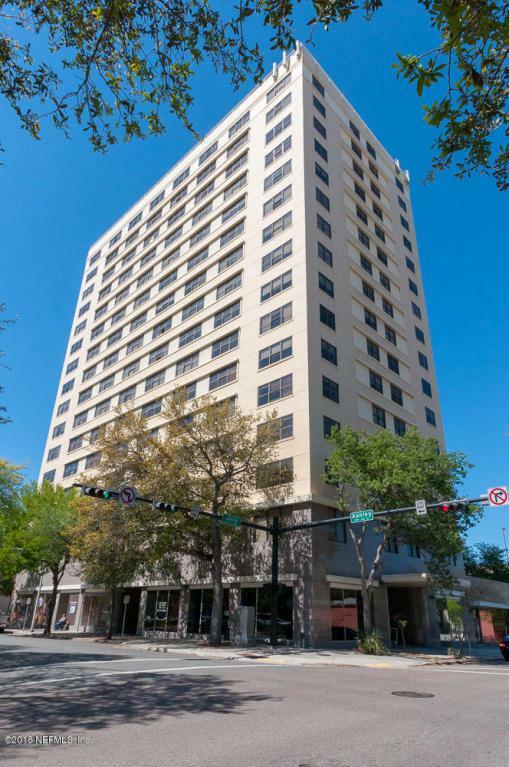 Great location close to Hemming Park, MOCA, the Volstead, dining. True 1 Bedrooms rent for $700/mo+ !! would be great investment! CASH ONLY. © 2019 Northeast Florida Multiple Listing Service, Inc. All rights reserved. The data relating to real estate for sale on this web site comes in part from the Internet Data Exchange (IDX) program of the Northeast Florida Multiple Listing Service, Inc. Real estate listings held by brokerage firms other than EXIT Real Estate Gallery are marked with the listing broker’s name and detailed information about such listings includes the name of the listing brokers. Data provided is deemed reliable but is not guaranteed. Data last updated 2019-04-23T10:28:00.943.